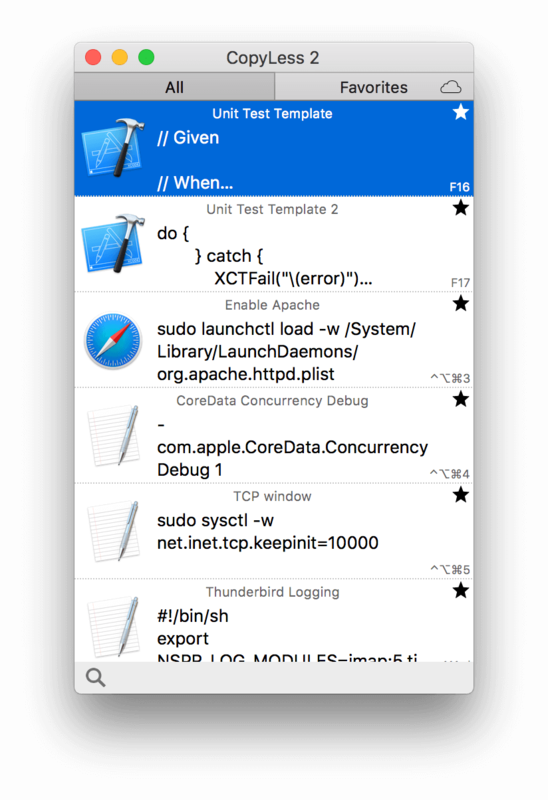 A great new clipboard extension. Extend your clipboard with the all-new CopyLess 2 - a clipboard manager for Mac. Completely overhauled, redesigned from the bottom-up and reimplemented in Swift - for performance, stability and comfort. Everything you copy or cut inside other applications is instantly captured and saved by CopyLess 2 for later use. The history is huge - CopyLess can store up to 1000 recent clippings. Saved clippings can be previewed and easily reused - an ideal help for text and image editing, programming, customer support, frequently used command-line tool snippets, etc. Extend your clipboard up to 1000 recent items and unlimited favorites. Mark frequently used clippings as favorites to keep them around. Sync favorite clippings to your iCloud account. Search clippings by application name, content or title. Set your preferred background color, text color, font size, row height, transparency. Access most frequently used features with just a shortcut. Text and image editing, programming, customer support, network administrator - we all constantly copying and pasting things around. Sometimes we have to search for command-line tool arguments on the internet and do it again and again - they are just too complicated to remember. So why not let CopyLess remember it for us? Direct Paste is a synonym for copy this element to the system clipboard and immediately paste it. Essentially, it is copy & paste combined into one action. For example, you can double-click an element in CopyLess to paste it directly into last active application. You can even define shortcuts for 10 recent and 10 top favorite elements to paste them directly without even opening CopyLess window. 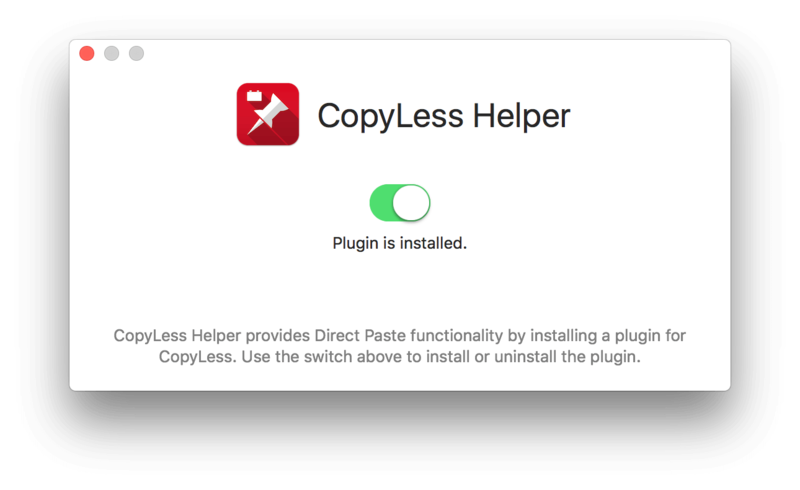 Unfortunately, due to AppStore limitations, the Direct Paste feature must have been removed from CopyLess 2. Fortunately, there is a way to reenable this feature - with a CopyLess Helper plugin. Its free and easy to install - just download it and toggle the switch.
" So it’s only the cat in our household who isn’t using it. " 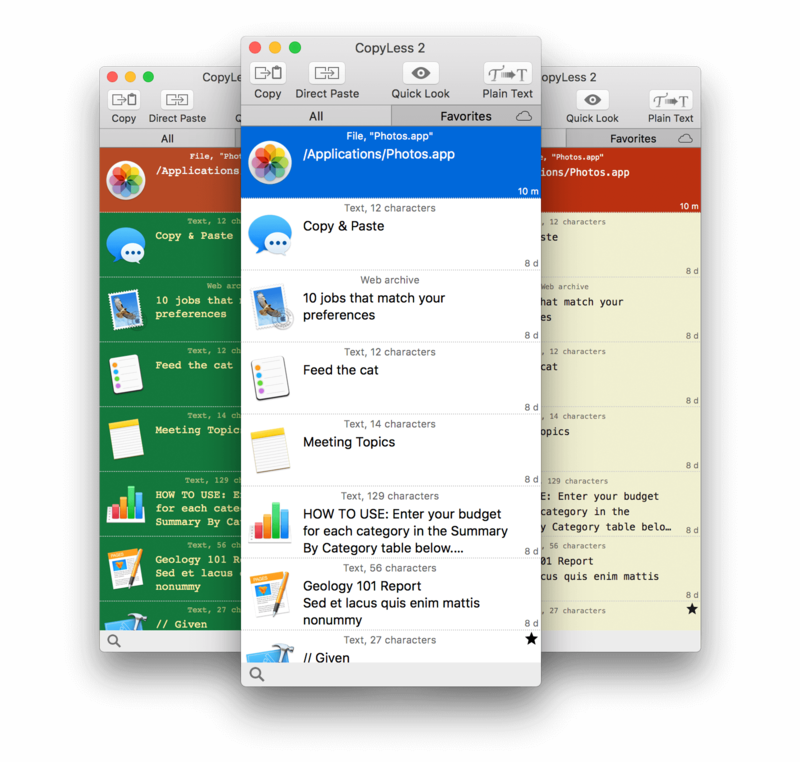 CopyLess 2 is available for free on the Mac App Store. Some advanced features, like iCloud Sync or unlimited number of favorites, are not available in the free version and can be purchased directly inside application.